This anthology discusses the converging operational issues of air base defense and counterinsurgency. It explores the diverse challenges associated with defending air assets and joint personnel in a counterinsurgency environment. The authors are primarily Air Force officers from security forces, intelligence, and the office of special investigations, but works are included from a US Air Force pilot and a Canadian air force officer. 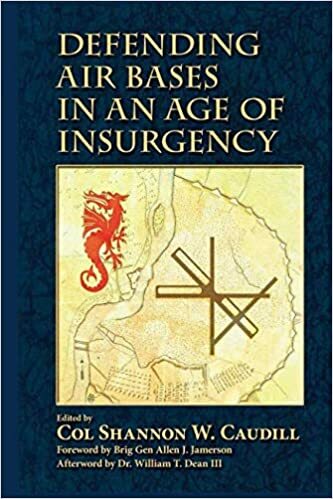 The authors examine lessons from Vietnam, Iraq, Afghanistan, and other conflicts as they relate to securing air bases and sustaining air operations in a high-threat counterinsurgency environment. The essays review the capabilities, doctrine, tactics, and training needed in base defense operations and recommend ways in which to build a strong, synchronized ground defense partnership with joint and combined forces. The authors offer recommendations on the development of combat leaders with the depth of knowledge, tactical and operational skill sets, and counterinsurgency mind set necessary to be effective in the modern asymmetric battlefield.